Available February 18th, 1,349 sq ft, 2 bedrooms, 2 bathrooms condo at Yacht Harbor Towers. This unit offers a beautiful ocean view, washer, and dryer, central air, one covered parking, enclosed lanai, multiple closet/ storage space, all necessary kitchen appliances, including a dishwasher and microwave. Building amenities include trash chute, beautiful scenery, pool, hot tub, numerous BBQ areas, tennis court, elevator, secured entrance, and a resident manager on site. 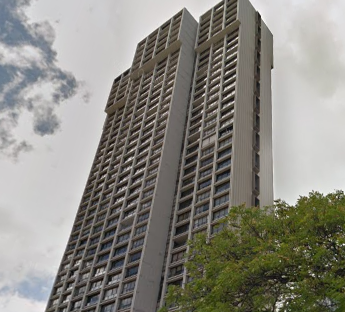 The building is walking distance to Ala Moana Shopping Center and Ala Moana Beach Park. Close to Waikiki Beach, Waikiki shops and more. Water, sewer, internet, electricity, and trash included. No Pets. No smoking. Minimum 6-month lease required.